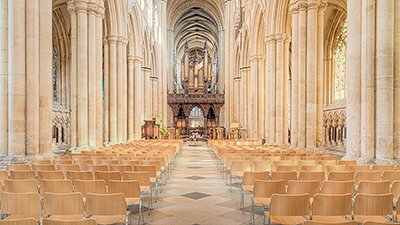 The British nation today is sliding into moral and spiritual chaos as God’s Word is brought down while Darwin’s Origin of Species is exalted. In August 2000, I was in England for the 7th European Creationist Congress. During the conference, I took a trip to the newly reopened Down House, the former home of Charles Darwin, where he did most of his research. The British government spent several million pounds restoring it and making it an exhibition to promote evolution. As we walked through the house, I felt as if I was in a pagan temple with Darwin as the reverenced god, or at least the high priest. Actually, this is not the first act of the British government to promote Darwin and his theory. At Darwin’s death, his godless friends arranged for a pompous national burial service in London’s famous Westminster Abbey. In October 2000, the British government printed new £10 notes with Darwin’s picture on the back, replacing the portrait of Charles Dickens. Currently, the world-famous Natural History Museum in London is busy constructing the Darwin Centre, which will further honor Darwin and indoctrinate the public about plants and animals within an evolutionary interpretation. 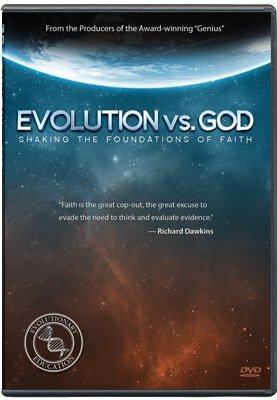 Is the creation-evolution issue important? Absolutely! Ironically, the Natural History Museum was built because of the influence of the scientist and Christian, Sir Richard Owen, who was strongly opposed to Darwin’s theory and hoped the museum and its contents would glorify God. Sadly, like so many of his day, Owen compromised on the age of the Earth, even though he opposed evolution. Rejecting the plain authoritative teaching of Genesis regarding Noah’s Flood and the Earth’s age, these sincere but compromising Christians laid the foundations for the church’s eventual widespread acceptance of Darwinism. Efforts are now underway to venerate Darwin even more, by setting aside February 12 every year to celebrate his birth. The campaign, begun in 1999, is aiming at a global celebration at his bicentennial birthday in 2009. 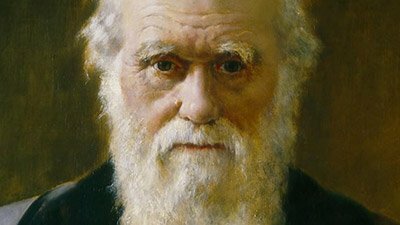 Organizers are hoping that in Europe and especially in England, they can get a national holiday for Darwin. Two centuries ago Britain was a nation heavily influenced by Biblical Christianity. How sad to watch that nation today slide into moral and spiritual chaos as God’s Word has been brought down while Darwin’s Origin of Species has been exalted. We see the same consequences of evolution in America and other nations, wherever the Creator’s Word is rejected in favor of death and struggle over millions of years. Is the creation-evolution issue important? Absolutely!! It is the difference between the authority of the inspired, inerrant Word of God and that of unbelieving, sinful man. It is the difference between pagan idolatry and true worship of our Creator and Redeemer, the Lord Jesus Christ. Dr. Terry Mortenson received his Ph.D. in the history of geology from the University of Coventry in England, and has also lived and worked in Czechoslovakia and Hungary. Previous Article “I Know Nothing!” Next Article The Creation Museum—A Time Machine!